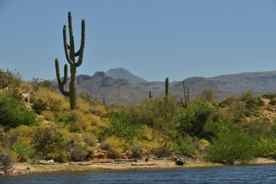 The Arizona Game and Fish Department is seeking public input in the development of new hunting and fishing license structure and fees, as authorized by the recent passage of Senate Bill 1223. For information on the new concept licenses go to www.azgfd.gov/licensesimplification. This site also includes webcasts of the Phoenix public meeting, a PDF copy of the powerpoint presentation and handout, and information on how to provide comment and input. It's important to keep in mind that the license structure and fee concepts will only be that -- concepts. They are not recommendations at this point, but are meant to serve as a starting point for discussion as input and feedback is gathered from constituents. SB 1223 allows the Arizona Game and Fish Commission to set future hunting and fishing license structure and fees directly through a streamlined, customer-focused process. It gives the Game and Fish Department the ability to operate more like a business and respond to changing market conditions and customer needs in a timely manner. The goal is to have a new structure and fees implemented by Jan. 1, 2014. Some of the concept changes urban anglers are sure to like are that all fishing, hunt and combo licenses will: 1) be valid for 365 days, 2) include all trout stamp and urban fishing privileges, and 3) include two pole stamp privileges. There will still be an Urban Fishing License specifically for designated urban waters that, in addition to the current 21 Urban Fishing waters, will be expanded to include 15 more waters such as Tempe Town Lake and new lakes in Peoria and Maricopa.